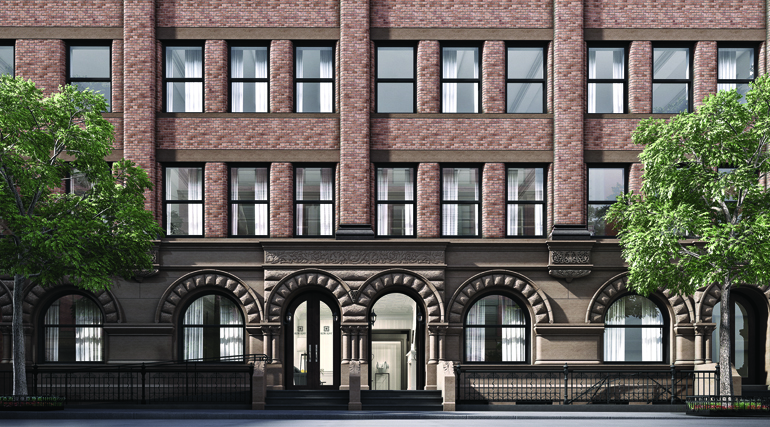 The site is out for 182 West 82nd Street by Naftali Group in the Upper West Side. 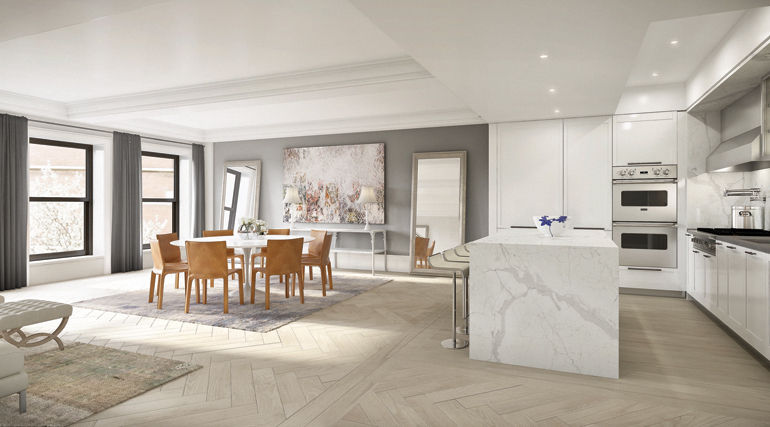 The eleven-unit pre-war conversion was designed by ODA Architecture, with floor-through apartments, two triplex townhouses and two penthouses. 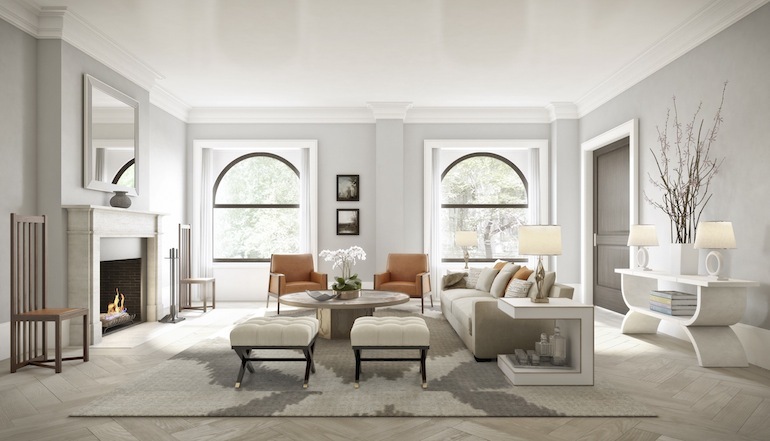 Pricing ranges from $4.495 million for a three-bedroom measuring 2,280 square feet to $6.645 million for a five-bedroom townhouse measuring 5,159 square feet. 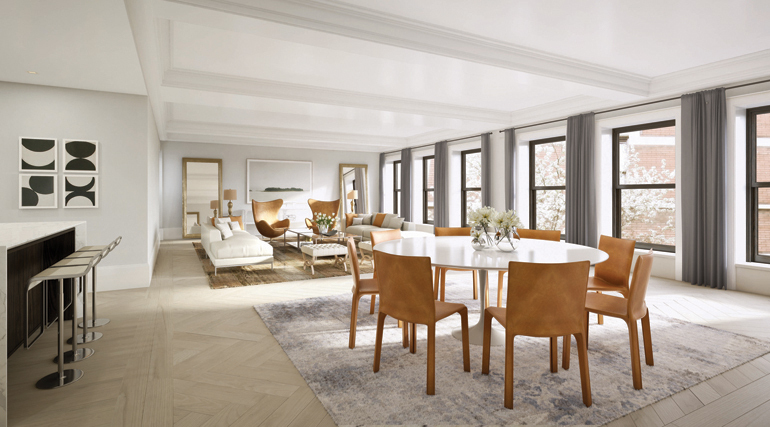 Residences feature 35-foot-long living areas with wood-framed windows, white oak wide-plank floors in a herringbone pattern (we love those!) 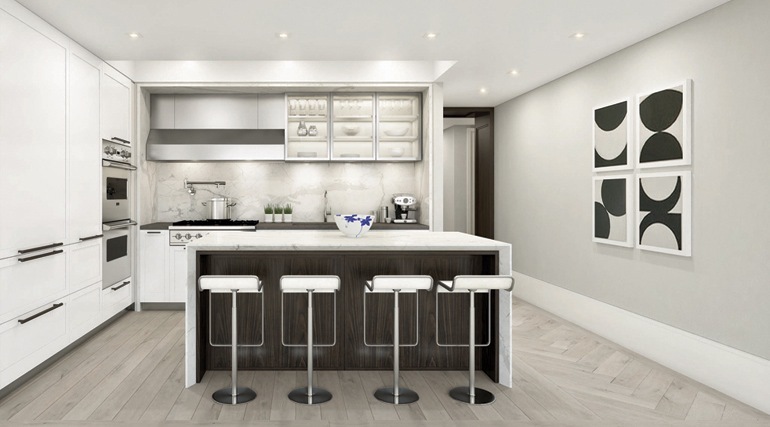 and open white kitchens with Viking appliances, Quartz countertops and white marble islands with walnut detailing. 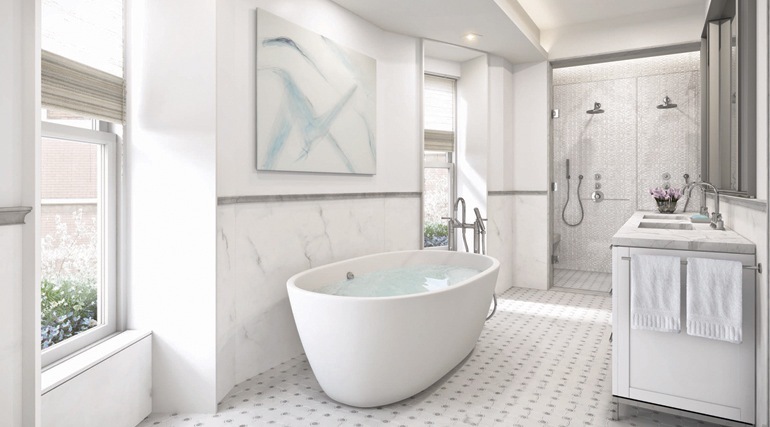 The master bathrooms each have a soaking tub, double shower, white marble counters, grey and white marble tile floor, according to the official site. 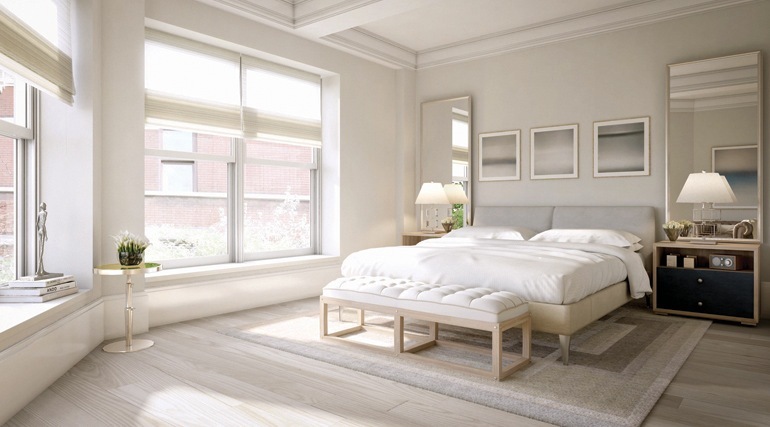 Amenities include a full-time doorman, building superintendent, gym, private storage and virtual concierge. 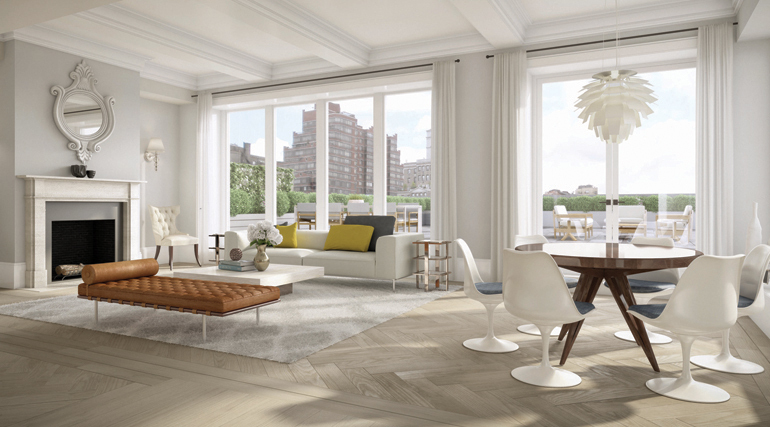 The lobby is appointed with a fireplace, custom marble floors, coffered ceilings and arched wood-framed glass doors.